Welcome to our homeroom website. Please check this site regularly for up-to-date information. Lincoln's Parent Teacher Group has an account through Amazon where they receive a small portion of purchase made that are linked to them. In order for this to work you must enter 'Lincoln Parent Teacher Group' in your amazon smile account. When you shop, you need to go to smile.amazon.com not just amazon.com (see below). This does not cost you a thing to do. Lincoln PTG would greatly appreciate it if you could try to do this each time you shop on amazon as it benefits our school. 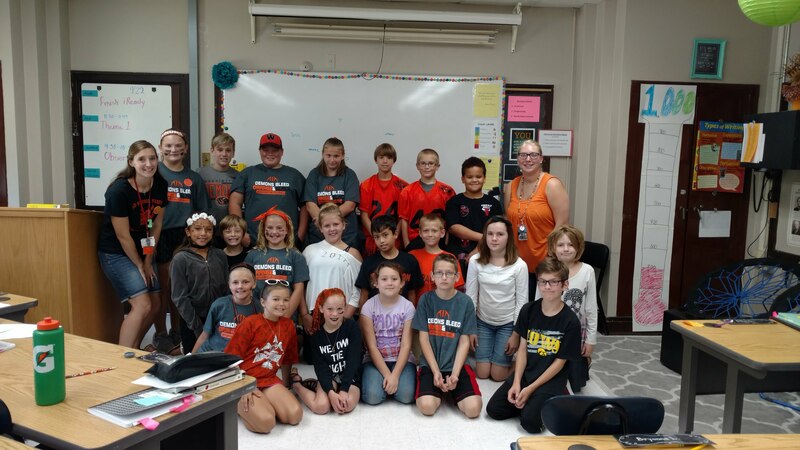 Our PTG does many things including: buy teacher supplies, purchasing playground equipment, paying for parties/celebrations throughout the year, purchasing items for our MakerSpace room, etc. Thank you for supporting Lincoln Parent Teacher Group. Thank you to everyone who attended conferences this week! I enjoyed visiting with you about your child's progress. Feel free to contact me with any questions or concerns as they arise throughout the year. Communication is vital in your child's success! 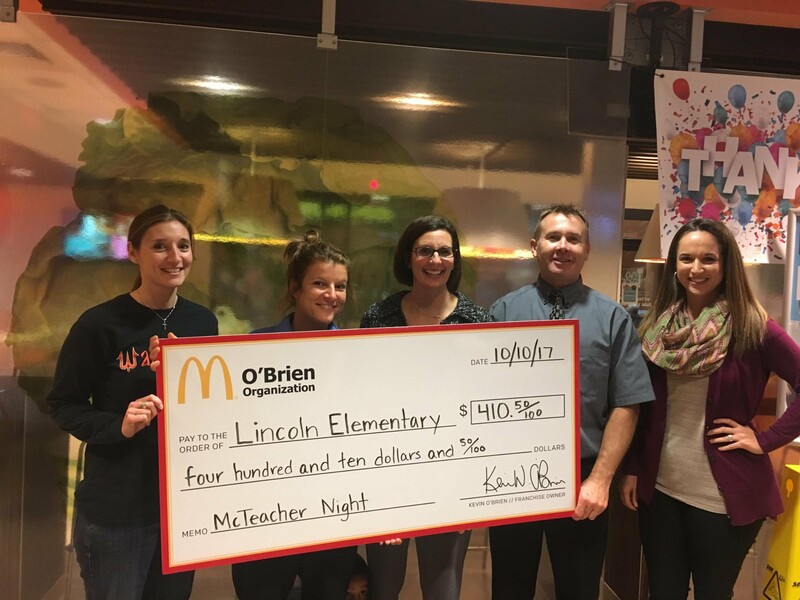 Thank you to everyone who supported Lincoln by visiting McDonald's last night! Fun was had by all and the school made $410.50! 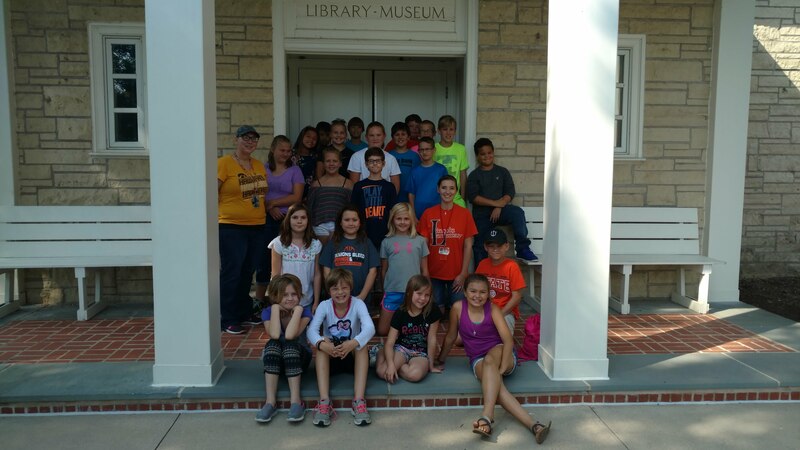 Great Day at the Herbert Hoover Museum! Hey all! The deadline to order for the Lincoln apparel web store has been extended to tomorrow, September 6th. If you haven’t placed your order yet, please do so!! Hey everyone! The Lincoln apparel order webstore is now open!! You will use this link http://www.teamelitesports.com/WASHINGTON.html to shop and pay for your order. A football jersey is also included on this order because PTG is not selling them this year. This is your only chance to order a customized jersey. The current close date on the store is September 4th so it is a very short window to order. This is your first opportunity to order books through Scholastic for the school year. Books are a great way to encourage reading!!! Due: If you would like to place an order, please return the form and money (or complete online) by Wednesday, September 6th. Secret: I know you can’t always order books when your child wants them. So, I am happy to take ‘secret’ orders for any reason (your child’s birthday, holidays, or rewards)! If you want to place a ‘secret’ order you can drop the form and payment off in the office; or if submitting it online, just send me an email telling me it’s a secret. 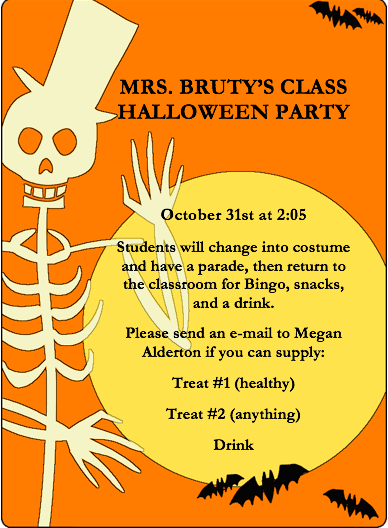 Payment Options: For paper orders please send cash or a check (made out to Scholastic Book Clubs). Online ordering is also available. Just use our class code HVY9R and pay with your credit card. Thank you for supporting your child’s desire to read! 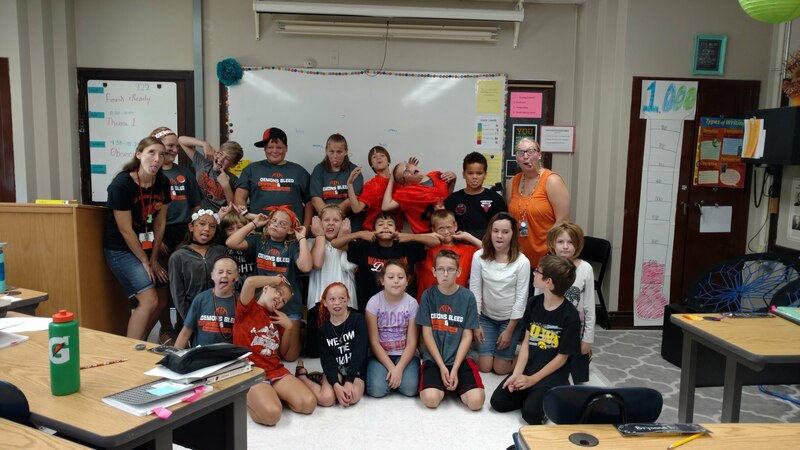 Welcome to 5th grade at Lincoln Elementary! This is my 13th year of teaching 5th grade. I am happy to say I am a Washingtonian who graduated from WHS in 2000. I received my education degree from Iowa Wesleyan College in 2005. I received my Master's Degree in Education from Viterbo University in 2016. Besides teaching, I am the assistant 7th grade girls volleyball coach. I have been married to my husband Ryan for 11 years. Ryan co-owns Bruty's Carpet Corner with his siblings. We have 2 daughters, Maya and Morgan. Maya is 8 and will be in 4th grade. Morgan is 6 will be in 1st grade. Outside of school I enjoy spending time with my family, being involved in my church, working out, reading, baking, sewing, board games, gardening, and puzzles. Click on WCSD for our district homepage. Please follow Lincoln PTG on their Facebook site or website for information and photos. Engage in academic excellence, Inspire for the future, Empower all students, to continuously improve student learning and achievement. Subpages (3): Newsletters Parent Survey Welcome Back!